The original Foka first flew in 1960 and gained third place in the Standard Class at the World Championships at Koln-Butzwerhof, Germany, in that year. The first major production variant, the SZD 24C Foka 4 appeared the following year. A Foka 4, flown by Jan Wroblewski, won the Open Class at the 1965 World Championships at South Cerney, England. The final variant, the SZD-32 Foka 5, which has a T-tail, won the 1968 OSTIC prize. 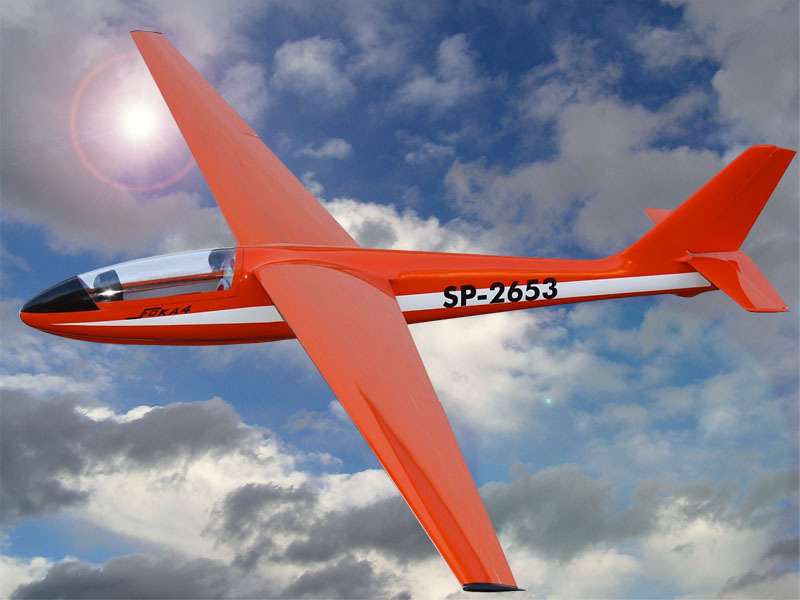 We made semi-dummy of FOKA 4 glider in scale 1:5. The model is suitable for slope flying and also it is possible to use it for aerotow at the airport. The model is sturdy enough for complete acrobatic flying, it has wide range of speeds and excellent gliding properties. Shipping dimensions: length 160 cm, width 25cm, height 25cm.